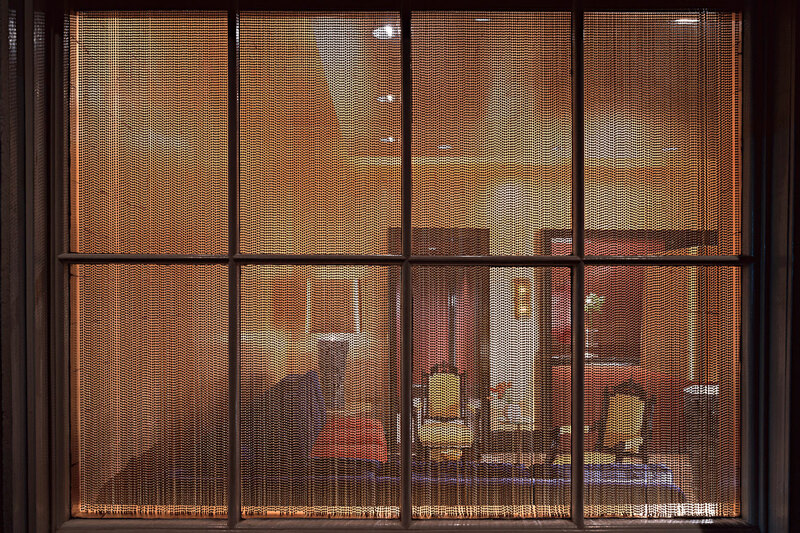 The renovation of a hotel lobby was part of a larger room by room renovation of an existing small French Quarter hotel into an upscale property. Located on the most prominent shopping street in the city, the lobby was conceived as a lantern, beckoning sidewalk passersby. The central panel of the ceiling was dropped down to form a more intimate space while providing a lighting cove that washes the hand-made Japanese gold leaf wallpaper. 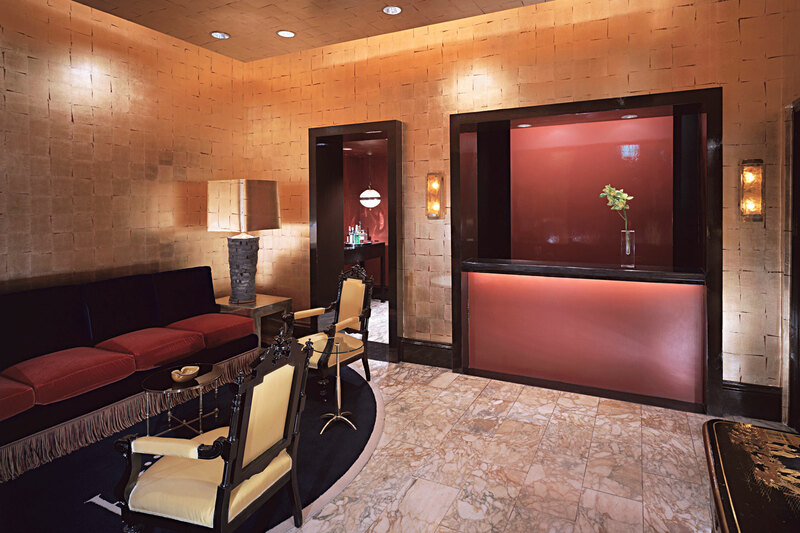 Walls and ceilings were clad in the paper to create a jewelry box effect, while secondary spaces were lacquered a Chinese red to complement the clay background color of the wallpaper. Custom designed mohair seating and plush wool carpet were coupled with Regency and Victorian antiques to evoke the opulence and decadence of a former New Orleans. The architect’s custom designed the sectional sofa, area rug, light sconces and mahogany bar server.